I had to take a trip back into our archives to check how long Gary Koh, CEO and designer at Genesis, has been at it tinkering, never content and always looking for a better way to do things. Srajan's first review of the M60 monoblocks dates back to December 2005. It is a very interesting read as in retrospect, it clearly shows that Mr. Koh's obsession hasn't really changed in eleven years. When he sees a problem his customers have for which he can't find an existing solution he likes, he creates his own using novel ideas and solutions. That's how his line of class-D amplifiers came to life, making him one of the first designers to understand how critical clocking was in such applications and turning class D from brittle and shrill to organic and harmonically rich. Later on, the same drive got Mr. Koh to develop his own cables which I still use as reference as often as I can because they actually get out of the way instead of just play at tone controls. 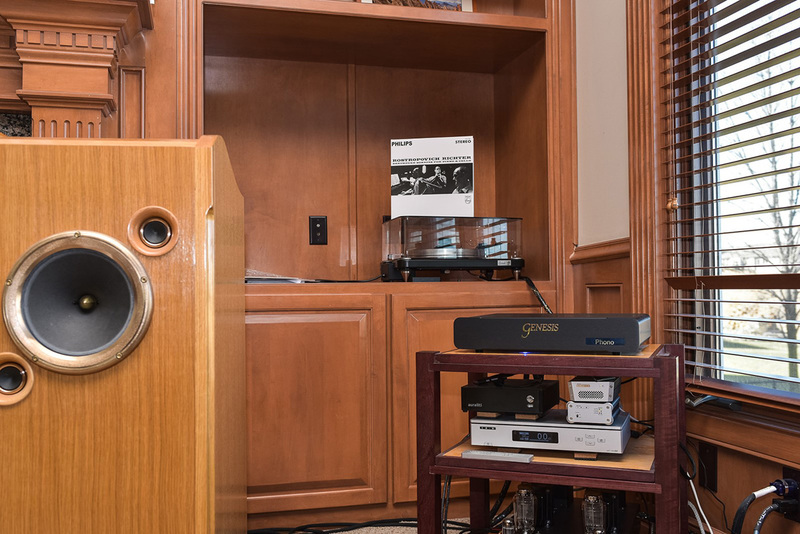 A few other components came to light in the past five years to be demoed at various shows, including a music server and a preamplifier. Those simply did not make it to market because the need was not as obvious. Over the past few years, Genesis were focused on updating and upgrading all their speakers due to advances in design, components and materials developed over the past decade. The last was the newly launched Maestro to replace the very successful G5.3 in the middle of the Genesis speaker line. Partway through that process, necessity struck again in the form of a phono preamp. 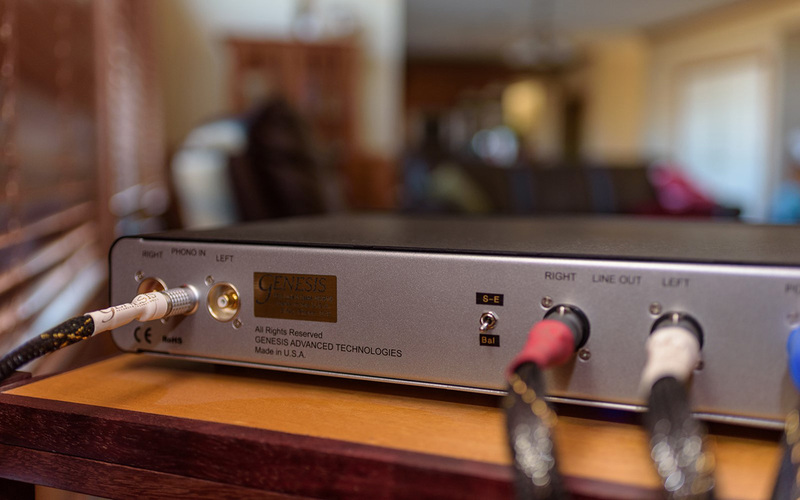 After listening to many very high-end phono preamps in his own system and that of customers, Mr. Koh concluded that although there were many good ones including the Nagra VPS I recently reviewed, he truly loved none of them. Off to the drawing board he went and the Genesis Phono was born. As a quick exchange with Mr. Koh revealed, it was not exactly a straight line to actually arrive. Here is what he had to say about the genesis of his Genesis. As often with him, it gets very technical but stick with me for some behind-the-scene looks at how he tackled a well-known issue in unconventional ways. "I am a loudspeaker designer and the Genesis phono story begins as all my other electronic designs did. I was dissatisfied with phono stages I owned and decided that I needed to roll my own to show off the transparency of our loudspeakers. I started off designing and laying out the most sophisticated cartridge loading system I could devise. After all, the phono stages I liked all had sophisticated loading systems, some even remote controlled. A few months into this, I realized that I hadn't answered the essential question of why. Why load the cartridge output as the input to the phono stage in the first place? A lot more research followed. It turns out that loading is needed to reduce an ultrasonic resonance peak that's due to the electrical interaction between cartridge, tonearm cable and the input of the phono stage. This resonance peak occurs at a frequency not audible but it still overloads the delicate electronics which amplify the tiny signals from the moving coil cartridge. The high-output moving magnet cartridge usually does not require any loading."